Accidents can change a life in an instant. The first sensation is pain. The second sensation is the emotional trauma of managing the pain. Then worry about finances sets in. The cumulative effect is that daily activities are put aside, and victims spend more time in hospitals and doctors’ offices than with family and friends. For some, the injuries never go away. For others, the healing process takes a long time. In the worst cases, the victims die, leaving a lifetime of suffering and loss for family members. 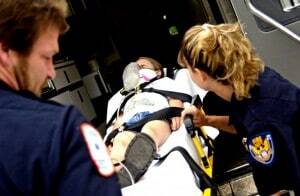 At McGowan, Hood & Felder, LLC, our Anderson personal injury lawyers understand how devastating accidents are. That is why we treat our clients like family and fight to get them full compensation for the wrongs of others. Auto accidents. Car crashes, truck accidents, and motorcycle spills are daily occurrences throughout South Carolina. The force and speed of the vehicles often means victims suffer severe or even fatal injuries. Whether you were struck head-on, broadsided at an intersection, rear-ended, crashed into during a multiple car pile-up, or struck a large pothole, we are ready to help you hold wrongdoers accountable. Nursing home assaults and abuse. Our legal team represents seniors who are abused physically, emotionally, financially, or sexually. If you believe your elderly loved one is receiving substandard care, trust our firm to hold the nursing home or assisted living facility accountable. Medical malpractice. Patients who are harmed by medical negligence have the right to bring claims against the hospitals, doctors, and health providers who harmed them. Common types of malpractice include a failure to diagnose, surgical errors, prescription errors, and a lack of informed consent. Dangerous prescriptions. The wrong drug can cause a patient to die or suffer severe harm. The wrong dosage creates dangers for the patient too. We bring product liability claims against drug companies and distributors who design defective drugs, and file malpractice claims against healthcare providers who prescribe the wrong medicines. Construction accidents. Workers are hired to do hard and physical labor. They have the right to expect that their supervisors will give them the right tools and make the area safe. When workers are hurt on the job, our legal team brings workers’ compensation and negligence claims. We also protect passersby who are wrongly injured. Premises liability. Consumers and legal visitors can hold property owners and maintenance companies liable if they fail to make the property safe. If you slipped and fell, were attacked in the parking lot, suffered injuries from falling items, were bitten by a dog, or suffered harm at a store or any enterprise, our attorneys have the skills you need. We understand how to hold proprietors and homeowners accountable. Workers’ compensation. South Carolina has workers’ compensation laws that make sure employees who suffer from a workplace accident get their medical bills and a strong percentage of lost wages paid. Product liability. If you use work equipment, electronic products, consume medicines, drive a car, buy toys for your children, or use any consumer product, you expect these products will work. When they are defective for any reason, our Anderson personal injury lawyers are trained and skilled in holding manufacturers and other companies responsible. Each client’s injuries are unique to that person. Some people get better with time and good medical care. Some never recover. When someone dies, the spouse, children, and other relatives all suffer too. Our attorneys demand all the damages that apply, including medical bills, lost wages, pain and suffering, disfigurement and scarring, and property damage. At McGowan, Hood & Felder, LLC, we have a strong record of getting just results for our clients. We are ready to try cases before state and federal juries. We understand the anxiety and the physical pain you are experiencing. Our legal team prepares each case through a discovery of what and who caused the accident. We work with your doctors to have a full understanding of your health issues. For reliable counsel, call 888-302-7546 or fill out our contact form to schedule a free consultation at our Anderson, South Carolina office.